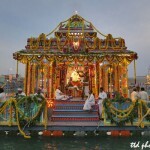 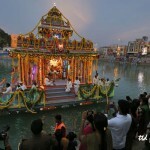 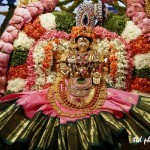 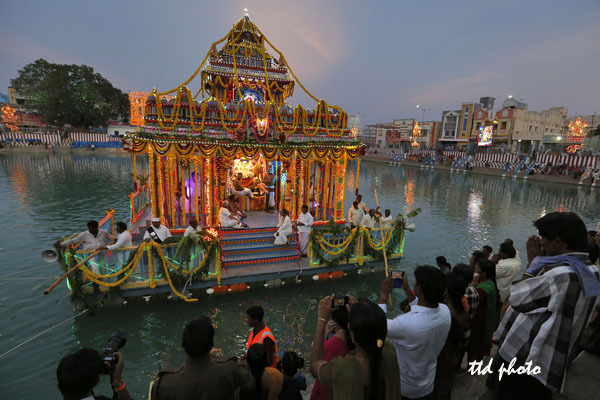 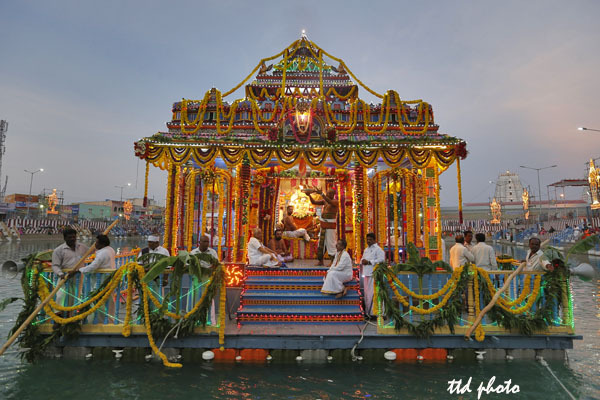 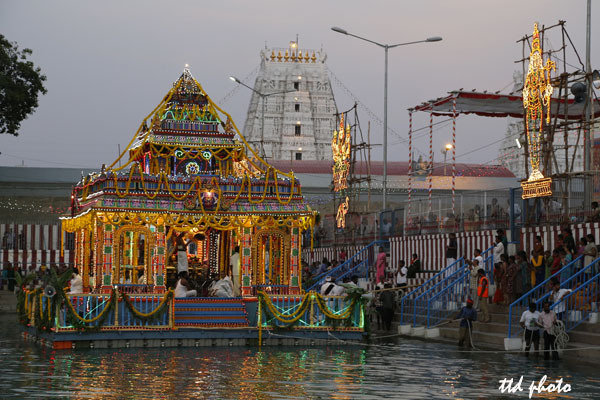 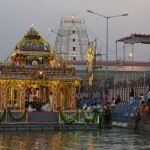 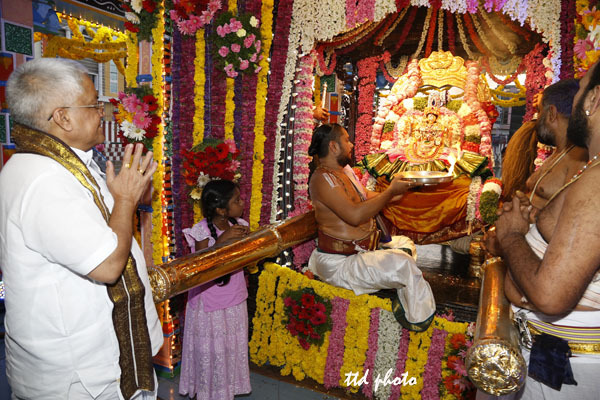 Tiruchanur, 10 June 2014: As part of ongoing five day Annual Float Festival, the third day is dedicated to the idol of Goddess Padmavathi. 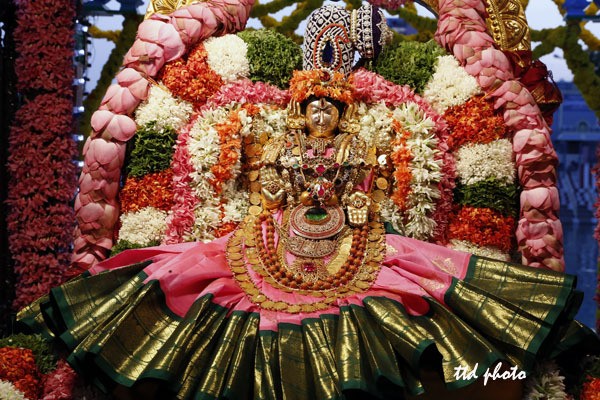 The idol is taken out in a procession from Sri Padmavathi ammavari Temple to Pushkarni situated near the Temple on Tuesday evening. 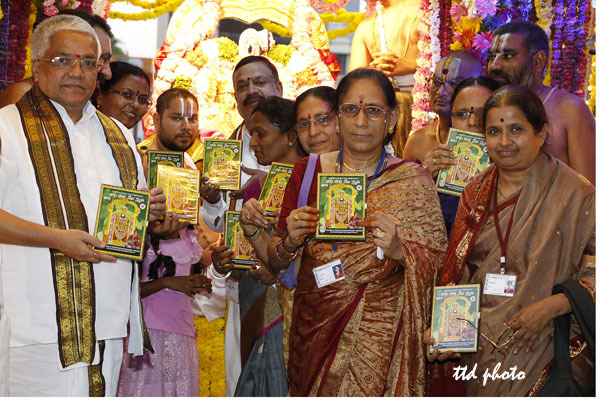 Later TTD EO Sri MG Gopal released a audio CD titled “HARI HARA DEVI SHUTHI” by Smt Challa Prabhavathi. 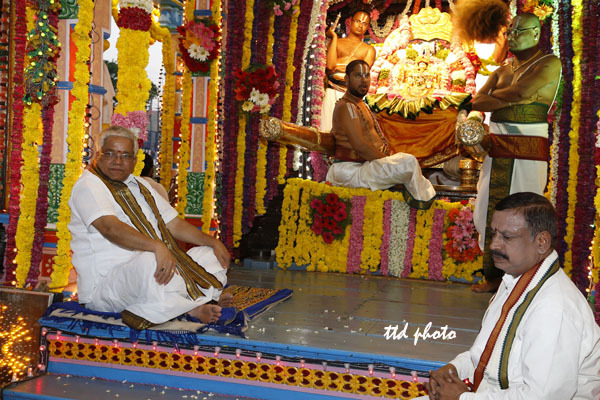 DyEO Sri Bhaskar Reddy, AEO, Smt. 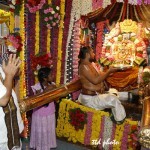 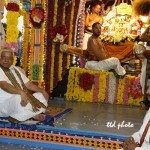 Nagarathnamma, temple staff and devotees took part.